Age is catching up and you want to look good this summer. There is a possible way to enjoy responsibly when you hang around with your friends for the finals of NBA. 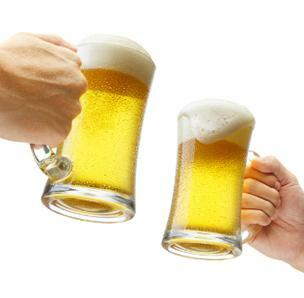 Let your favorite beverage – beer, push off those extra calories that resist leaving your belly, unlike Homer Simpsons. Surprisingly, this drink can actually be a healthy drink choice. It is low in carbohydrates, free of fats and cholesterol. Certainly that doesn’t point at trading your daily intake of fruits and vegies for a jug of beer every day. But the myth around it being bad for health, if consumed in moderation, can be seen being ward off through this eye opening article. Before you indulging in this write-up, warn yourself on fit being really subjective. Nothing remains healthy when it is multiplied by four. A recent study has determined that aged men and women who consume one to two drinks everyday have a higher bone density. Dietary Silicon, a substance that is linked to bone health is found in this beverage. This source is important for bone development and growth. There are various categories that need to be studied in order to find out which type consists more silicon. So when you want a drink, choose pale ale, over lager or draught. And like the saying goes, anything good in excess is bad, so keep it limited to two. The rule of choosing the right one is applicable in this case too, since dark beers have approximately one gram of emulsifiable fiber in every 12-ounce serving. Consuming this fiber helps reducing the bad cholesterol in our blood. Study shows that wine (already proved) and beer increase the level of good cholesterol in our blood. The malt and hops used in brewing provide polyphenols, which are heart-loving antioxidants. Beer amongst its other alcoholic counterparts figured that daily moderate drinking of this beverage lowers the risk of developing kidney stones by 40 percent. Since this drink is high in water content, your kidneys keep functioning. Dehydration basically is one of the main causations of kidney stone. Also it is made from barley, wheat and hops as mentioned earlier, all nutrients that are enclosed in your daily fibre intake. The compounds in these nutrients make the release of calcium process slow, preventing kidney stone formation in the first place. Like an apple a day keeps the doctor away, a beer a day may help in keep dementia and Alzheimer’s at bay, according to research. Studies that have taken place all across the globe rate the moderate drinkers higher on an average in areas of mental skills as oppose to the non-drinkers. There is a substantial decrease in the risk that surrounds mental illness. When you consume it, the impulse association is with a blurry thought processes and forgetfulness. But this occurrence is only due to over indulgence. So by drinking a bottle a day only sharpens your mental abilities. Beer does not necessarily need to be consumed as a drink all the time. You could marinate you steak in it and help you antioxidant levels rise. This drink basically eliminates a huge chunk of carcinogens which are produced when the steak is fried. It contains vitamin B12 folic acid. The threat of being affected by diabetes, stomach ulcers, gall bladder or rheumatoid arthritis is pushed below the danger level with this drink. It actually plays an important role in keeping several diseases including cancer away. Drink a bottle of light beer, count your calories and have a rather relaxed sleep instead of worrying about other issues in life. Just do not get tempted to go beyond that mark by disciplining yourself, to make sure beer is helping and not harming you.